It was a day that began pretty much like any other day. People commuted to work, housewives did their shopping, employees either wasted time in groups in the company canteen, or wasted time at their desks by daydreaming or web-surfing. Yeah, just a day. A wednesday. 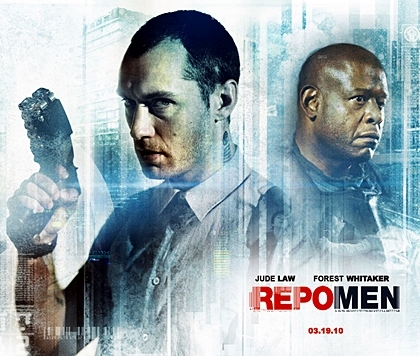 The main difference between then and now is that once the new Repo Men have done their thing, the dead-beat clients simply don’t wake up. 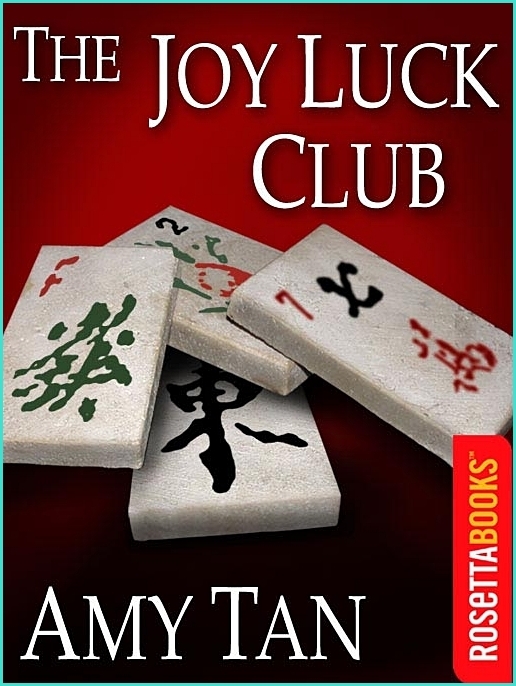 I read a recent post on another blog about Ming-na Wen which brought to mind her role as June Woo in the wonderful film adaption of the Amy Tan novel, The Joy Luck Club. The novel’s pedigree is impeccable. Published by G.P. Putnam & Sons in 1989, the book was on the New York Times best seller list for more than six months, it has been translated into more than 35 languages, and has sold in excess of 30 million copies world wide since its original publication more than 20 years ago. After Amy Tan had a lengthy three day meeting with her co-screenplay writer Ron Bass and movie director Wayne Wang, after they hashed out how the novel would be adapted into a movie, the three of them made a pact that they would not sell the book’s movie rights, or the screenplay, unless the studio gave them total creative control, meaning they would control the screenplay, the choice of location and actors, the filming, the editing, all the way up to and including the final cut. 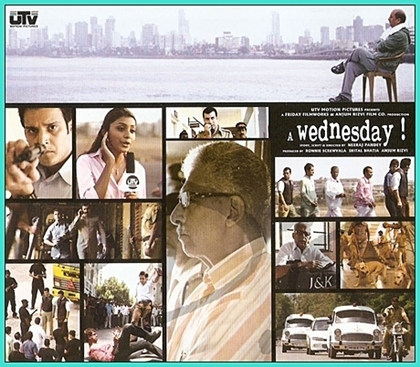 The film opens in April, 2003 in Baghdad, Iraq. Matt Damon as U.S. Army Chief Warrant Officer Roy Miller and his men are on their second search for WMD (Weapons of Mass Destruction). The place or neighborhood is called Diwanyia. Another Army unit sustained some casualties so Miller’s unit could access the site. Their search is going to not turn up anything related to WMD, despite the fact that the ‘intel’ that Miller has been given, had come from a ‘reliable/trusted’ source, and had been vetted; so they said. Soon, Miller will again come up without any results at a place called Al Mansour. And that’s when he begins to think about what is going on. When he questions the higher ups about the flawed intel, he’s told: Button it up, the intel is fine – just do your job. This is how the Paul Greengrass helmed Green Zone begins. Brian Helgeland has the screenplay credit and Rajiv Chandrasekaran is the author of the 2006 non-fiction book Imperial Life in the Emerald City which was the source or inspiration for the film. 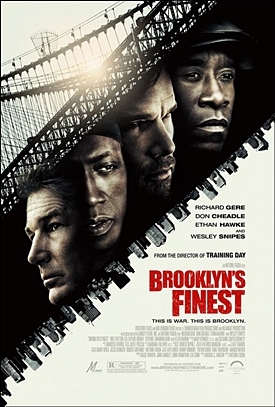 The fact is that these cops, in Antoine Fuqua’s latest passion play, a film called Brooklyn’s Finest are not Brooklyn’s Finest. They’re conflicted men, one of whom is trying to get through each day, one day at a time, doing whatever it takes to make it to the next day, and nothing more. Another is trying to get ahead, financially, one drug bust at a time. And the 3rd, an undercover cop, is simply trying to get out, to regain his life, and the sooner the better. They’re cops working in one of Brooklyn’s most deadly and crime infested precincts, the 65th. The center piece for this story is a housing project that consists of 18 buildings, and 15,000 residents, all of whom are never more than a few yards away from death: be it a bad shooting by the police, or a war being conducted between rival drug gangs, or the violence that can erupt in any corner bodega or convenience store which are no more than tinder boxes where cultures can clash, serving as veritable staging areas for brutal violence.